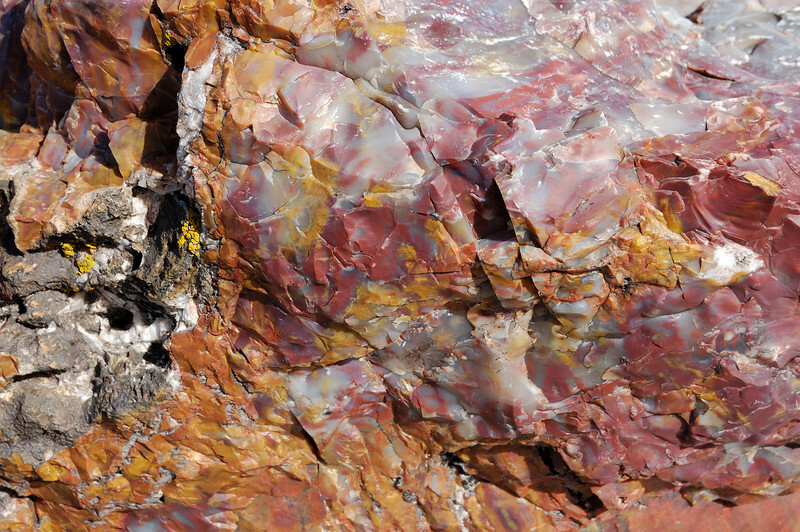 The colors in petrified wood are gorgeous. This is not processed or polished. It's raw stone in the petrified forest national park near Holbrook Arizona.